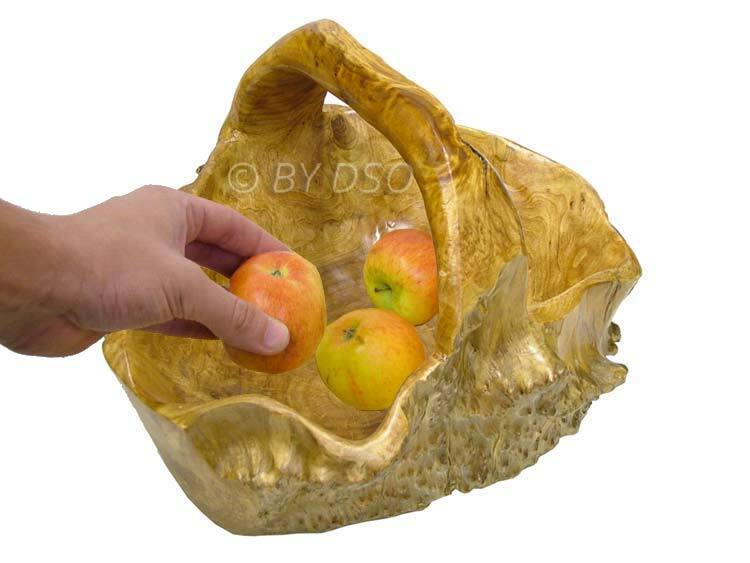 This stunning Burr wooden fruit basket has been skillfully hand crafted from often deformed dead wood that would be used as fuel for fires. The skill of turning deformed burr wood into baskets and bowls has been a skill passed down through generations. No two pieces are the same with these baskets and bowls so you get something unique to display fruit, salad, and anything else you feel is appropriate. The wood has been treated and polished with food safe oils to give you confidence when presenting edibles. When buying this product, you are contributing to reforestation and supporting developing cultures. This item is brand new however it has a crack down one side so it is a great deal, not to be repeated. There is no returns policy on this item. Whilst extra care is taken during the packaging process, we cannot accept liability for damage that may be caused during transit. All products carrying this disclaimer are pre-checked and where necessary, added protection is introduced prior to packing and despatch. There is no warranty offered in these items. Get it before it's gone!